Probate Estate Attorney Framingham MA, Stephen E. Dawley, P.C. As difficult as the death of a family member or friend is, certain legal issues might need to be dealt with right away. 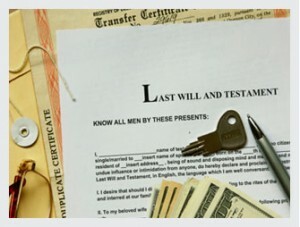 The help of an experienced Massachusetts probate lawyer can be invaluable during this time. Navigating through the legal, financial, and emotional aspects of a death calls for the assistance of an experienced and compassionate lawyer. My name is Stephen E. Dawley, and I have probated estates for families in Framingham and throughout Massachusetts for over 30 years. I make the process as smooth and dignified as possible. If you are dealing with a probate estate issue of any kind, please call my Framingham office at 508-308-8191. The Probate and Family Court is where estates are processed. The rules and procedures followed depends in part in whether or not there is a will. Recently probate law was completely overhauled. At first someone petitions the court to be appointed personal representative. This person accounts for the assets of the deceased, pays bills, and makes sure the estate assets are properly distributed. If anyone makes a claim against the estate the claim must be resolved before the estate can be completed. When a settlement of the claim canot be negotiated the Court can hold a hearing to decide the claim. Only a competent and experienced probate lawyer can see you through the estate process or through other probate and equity matters. I have handled a number of contested estates where family members or other parties disagree about how the Estate is to be divided or who is to serve as Personal Representative. It is critically important to hire an experienced lawyer when faced with a possible dispute regarding an Estate.